Countries that have royal families tend to be besotted with their monarchy. The British are no exception, and after living in the Royal Borough of Windsor for 4 years now, I also confess to some “royal watching”. I admit to checking the flag on Windsor Castle daily (from my bedroom window), just to see if the Queen is in. “Queen’s in” I’ll quip, on my way to making myself my morning cuppa…silly woman that I am, it means nothing, but it is sort of nice to know! Since I was away for Prince George’s first birthday (shame on me), spending the summer in Canada, I was delighted to find this picture book in my house upon my return – a gift left from a house guest. Thanks Evelyn! 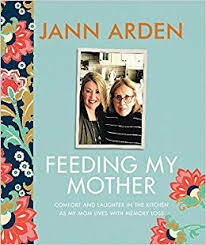 It’s a great humorous look at all the fuss families make about a child’s first birthday, when actually the toddler will never remember the event anyway, and in truth will usually ignore all the expensive toys and end up playing with the box! The greatest picture books are just as entertaining for the adult who’s reading them, as for the children who are listening, and this one achieves that, in fact it will likely have the adults chuckling more. Ada Grey has done a marvellous job of the illustrations: colourful and recognizable sketches of all of the members of the royal family including the Middletons. And there are corgis involved in all sorts of fun activities on every page! I wonder if the parachuting Queen was inspired by the London Olympics? A fun picture book for Brits and Canadians alike, because even though they may not admit it, Canadian royal fans are just as besotted. 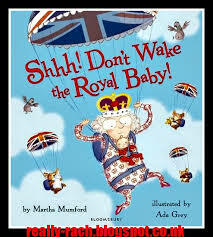 In case you are interested in royal collections, there was a previous book by Martha Mumford called Shhh! Don’t Wake the Royal Baby which coincided a year ago with Prince George’s birth. 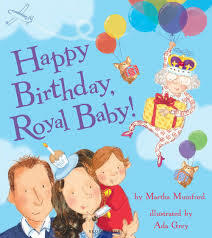 This entry was posted in Children's Books, Five Star and tagged Ada Grey, Happy Birthday Royal Baby!, Martha Mumford, picture books. Bookmark the permalink.